“They tried to get me, they tried to get me, but am still here” he says in his snapchat video uploaded by the Dailymail. 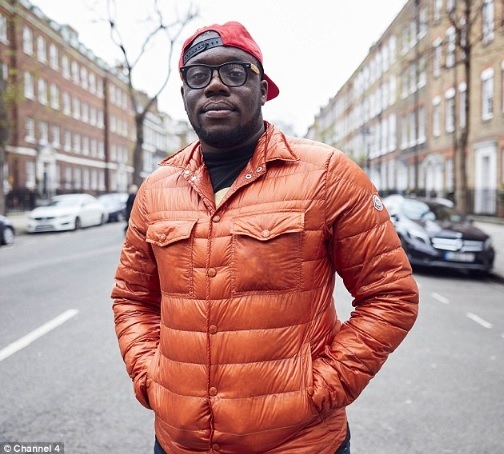 The millionaire stockbroker then shows the damage done to his £250,000 bullet proof Rolls Royce Wraith by ‘haters’ who boxed him and tried to steal the car on the streets of Lewisham – as he made his way to visit one of his ‘many’ properties. Elijah started making his millions aged 20, after using his student loan to trade on the stock market. Supposedly now earning around £70,000 a month for a few hours work per day, the £11,000 damage to the car seemed like chicken change as the 22 year old raved more about the installed bullet proof which limited destruction. UK Nigerian Elijah Oyefoso hijacked in his Rolls Royce Wraith by "haters", Millionaire stock-trader Bookmark the permalink. Viral video of man filming his own death while making a "quicksand" escape video: Did he really die? I want the McClure twins...they are half Nigerians you know!